Via a recent Twitter link, I found myself at the lovely Deer Sweetheart Studio blog, owned by Viola Joyner, a graphic designer and photographer in Chicago. 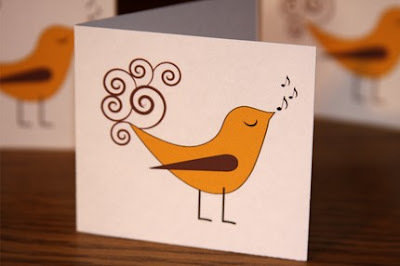 The post was about the giveaway of Viola's Sunflower Bird note card set as a free pdf download via the inspiring Modish. By the way, perhaps you remember my post about the closing of the Mrs. John L. Strong stationery company. Well, after seeing the post and knowing how much I like paper, a friend sent me a note on a Mrs. Strong card. 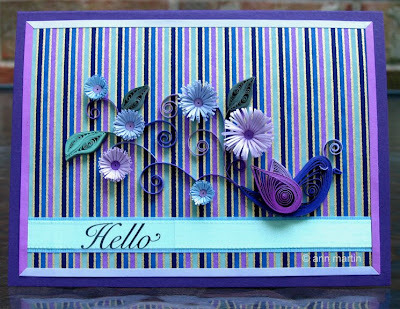 The striped paper I upcycled for this card's background started out as the envelope liner - such beautiful textured paper with a metallic stripe and way too pretty to discard. Thanks a thousand times for being kind enough to include my Etsy shop on your blog. 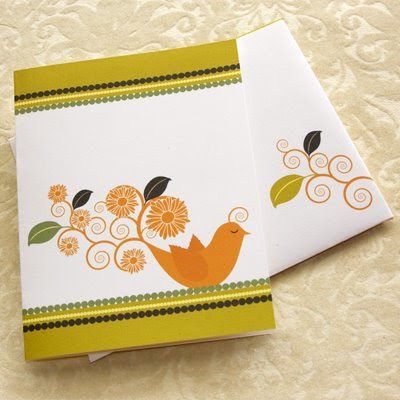 Can't say enough how absolutely beautiful is your design of Sunflower Bird in filigree. You captured the essence of the bird perfectly. Your skill of designing in paper is outstanding. Also, the background paper is a perfect accent. Again, thank you very much for the write up, the filigree design and for all the links! Will put a link of this feature on my blog too and will send a shout out on Twitter! 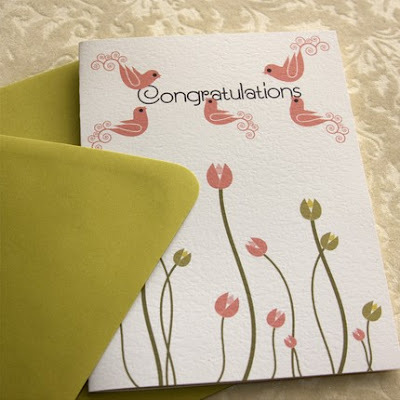 Both your filligree card and the inspiration card are gorgeous! You are very close to converting me! Quilling was always Diane's territory. But you have been showing some amazing work and my fingers are beginning to wonder when I am going to give it a try! Thanks so much Annie and Pam. 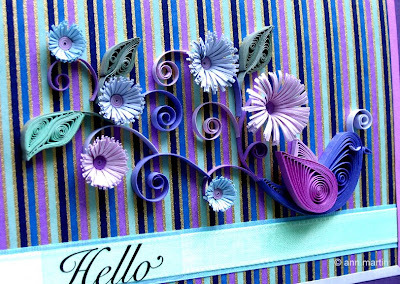 I hope you'll give quilling a try sometime, Pam - I'm positive you'll be good at it. That is a WONDERFUL idea! I haven't quilled in over a year and this is just the inspiration I needed! Thanks!! !